On Monday, Richmond council voted to reconsider a bylaw mandating that any new signage in the city "require a minimum of 50 per cent of one of Canada’s official languages." Richmond Mayor Malcolm Brodie says he's surprised his council wants to revisit a potential bylaw on the language used on business signs. Monday's discussion about the city's new sign bylaw was focused mainly on decluttering windows and clarifying the types of signs allowed, until the introduction of a surprise amendment from Coun. Bill McNulty. His amendment called for the sign bylaw to mandate "that all future signage require a minimum of 50 per cent of one of Canada's official languages." The motion passed five to four, with Brodie voting against it. "I was surprised that this idea came up again because as far as I was concerned we had thoroughly debated this issue a couple of years ago," Brodie said. "So this was a fork in the road." The idea of a bylaw restricting language on signs has come up several times in Richmond, where some residents feel Chinese language-only signs are becoming too prevalent. Council debated the issue of a bylaw in 2015 and 2013 but declined to impose a bylaw both times. Some observers said the issue was a symptom of cultural tension,or even veiled racism. In 2015, council instead decided to try an outreach approach by employing a sign inspector to encourage shop owners to include more English in their signage by stressing the potential for lost business from English speakers. 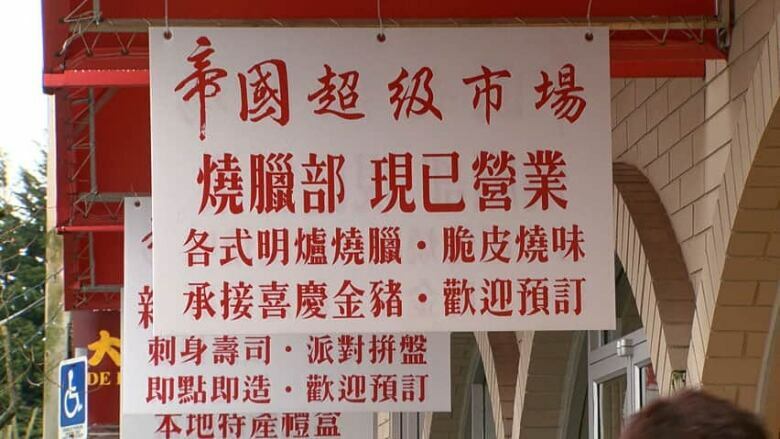 The issue of Chinese-only signage has come up several times in the past. "There's the issue of community harmony: you can either lay down bylaws … or you can work with your community," Brodie said. "They've had really good success in attracting co-operation. Frankly, I think it's a much more satisfactory way to approach the situation." On Monday, Richmond's legal counsel also raised concerns of a legal challenge to such a bylaw, as it could infringe on merchants' freedom of expression. Brodie said councilors in favour of a language restriction were reacting to comments from a 2016 public consultation that found some in Richmond still wanted a sign bylaw. On Monday, they directed staff to gather legal opinions and other reports on a possible bylaw in time for June 12's council meeting. Brodie stresses there is still "some distance" before any such bylaw would become enforceable: the exact wording of such a bylaw would need to be approved, it would need to be voted on by council and then go to public hearing.